Although this talk was presented many years ago, it is still the classic talk about home and family missionary preparation. It sets the standard, even for us today – a generation or two later. I do not know that his father, who is the general superintendent of the Sunday School and the father of nine daughters, wants him to become a famous surgeon. I believe he will lead his son wisely as to what his earthly vocation will be, but I am sure he will want this boy to go on a mission, that hope of great adventure which comes into the early life of all Latter-day Saint boys. If this is the father’s desire, he will start early to prepare his son. If his father is wise, his boy’s early years will be filled with stories of the experiences of the missionaries of the past. He should begin by telling of his own ancestors, to give the boy knowledge that mission adventures are not the exclusive property of the leaders but that the followers had equally miraculous adventures. But, of course, he will want to learn of the heroic journey of Samuel H. Smith and his companion from Far West on an eastern missionary journey. He will want to learn of the missionary journey of Heber C. Kimball and Brigham Young when they, ill from fever, arose from their beds and started out, how Brother Kimball was poisoned and was saved by the loyal work of his companion, and how they miraculously found money in the purse, just enough for each day’s journey. But he will need to know, too, that today with our affluence he may not find money; he will find something far richer—the great joy that comes from seeing people’s lives miraculously changed as they accept the gospel. He will need to know that he must develop physical stamina, not for athletics but for his mission. He will play basketball to develop wind and limb to serve the Lord. Then his father will teach him the simple truths that are important. They will memorize the prophecy in the book of Nephi about the descendant of Joseph who, bearing the name of his ancestor, would do great things. And then his father will tell him the story of the modern Joseph, the fulfillment of that prophecy—what he did to be a great boy. He will learn that boys do not need to wait until they are men to be great. He will thrill with the ancient prophecy of the angel who would fly through the heavens having the everlasting gospel to preach to all the world and how this prophecy was actually fulfilled through angelic visits to the young boy prophet. 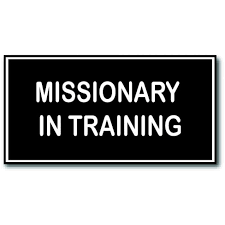 In the same manner they will comb the scriptures, doctrine by doctrine, and learn those vital to missionary work. They will read together the great boy-literature of the world. The chivalry at the court of King Arthur will be mirrored in his treatment of girls and, later, young women. And he will learn the place of animals in his life when he runs the Trail of the Sand Hill Stag with Seton and will learn the immense power of nature as he survives a ride down a snow avalanche with Enos A. Mills. He will also learn of the winter journey to rescue the handcart company, victim of the Wyoming blizzards. His father will see to it that he gets the feel of a real blizzard and the helplessness of the brave people who had only the Lord to depend on for deliverance. He will be taught these lessons at the home evening, at the dinner table, at bedtime, in camp, on hikes and journeys. And driven home at all these stages will be the theme that the greatest adventure a boy can have is to go on a mission and learn to depend on the Lord when faced with a bitter, cold, or hostile world, and that the greatest joy he can experience is to give of his all in the service of the Master in bringing souls unto him. He will need to learn also of the important principle of obedience. Teach him that the Lord Jesus Christ was completely obedient to his father and that if your son would be a successful missionary, he must be completely obedient to those in authority over him. Faithfully learning this lesson before he goes into the mission field will equip him for his work there. Give him responsibility, and teach him to forget himself in service to others. These, coupled with obedience, will help him to find true humility—all of which are vital factors for his reception of the Holy Ghost. And so, through his growing years he will apply the truth of all things. Lay the foundation well, Brother Nelson; it begins at birth and its effects cease not until the mission of life is complete. Meanwhile, his mother will have a hand in his growth also. Faith-building begins in the cradle and ends not at the grave. In the formative years your boy will need to learn how to give and take, how to get along, how to put up with inconveniences, how to be patient and tolerant, how to resolve differences with playmates and, later, with missionary companions. He will need long training in neatness and in the handling of his clothing. He will need to know the “rubbing board” techniques of washing his clothes and how to keep them white and clean. Ironing and pressing should be second nature. He will need to learn that bodily cleanliness goes with spiritual cleanness and that the body is the expression of the spirit. He will need to know how to cook—how to make the food he prepares taste good and at the same time meet his many nutritional needs. Nothing will buoy up a missionary like a tasty meal. Why shouldn’t this boy learn to cook well? And while he is about it, he should learn that the dusty, ill-kept room with its unmade bed is the devil’s best means of discouragement. Just as surely as he walks, his manner, his attitude, his clothing, his complete self will be concrete evidence of what he is in his soul. He cannot conceal himself. Teach him, then, that these things reveal his spirit and show what he really is and that the success of his mission will be found in how his spirit speaks to the spirits of those he meets. In the process of his growing, make sure that he will learn how the Church came to be and where it has gone from there. And let him learn to know that faith in the Lord Jesus Christ will give men reason for their repentance from sin, which is the great doctrine that brings hope; that baptism by immersion is both a covenant and a sign of acceptance; and that the gift of the Holy Ghost is what makes him, and his father and his mother, different from the world; and that it will make those he converts different also. He will not consider the Book of Mormon dull reading if you will make it live for him while he is growing. And if he learns that reading scripture by the Spirit with an open heart and a searching mind is indeed hearing the voice of the Lord, as the Lord told the Twelve it is (see D&C 18:34–36), you will have him on his way to becoming a missionary. He began to prepare for his work here before he came to earth, when he repudiated Satan and all of his subtle sophistries. Now he is to prove that he can live in a body and control its earthly tendencies and temptations as he did as a spirit before his arrival here in mortality. 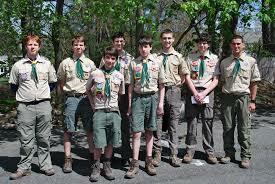 As with Russell Nelson, Jr., so it is with all boys—and girls too. Let us not leave out the girls—they also may go on missions. These young folks may become great of themselves, but with the faith and teaching of their fathers and mothers they will become greater. The Eternal Father taught his Only Begotten Son. He depends on us to teach our children truth that they may . better serve the Father of their spirits and live. To those who may not have had these training opportunities in their childhood, through humility and diligent effort in their teen years, they can still achieve the same thing. Two years on a mission will give the experience and practice in the great virtues of which I speak. It will confirm that the Lord truly speaks in this day, for he will constantly whisper the truth of this great latter-day work into the soul of the valiant missionary. Later he will know this whispering in the affairs of his adult years and, following it, will find the true entrance to the things which will give him eternal life in the kingdom of our Lord. The Lord has said that to bring one soul to him brings joy and that to bring many souls gives proportionately greater joy. The prepared youth will find that joy on his mission. It will sustain him through his life. The greatest gift any of us can have is the knowledge, borne of the Spirit, that God our Father sent his Son Jesus Christ to atone for the sins of all of us in the world from the beginning to the end, that they both live, corporeal, glorified, and anxious that all of us may desire to come into their presence. I have that knowledge. 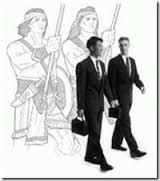 Joseph Smith was the modern prophet through whom the Lord restored his work in these last days. … [and our current Prophet] is the worthy recipient and holder of the same keys of authority to speak to the people on behalf of the Lord.